Oh man. 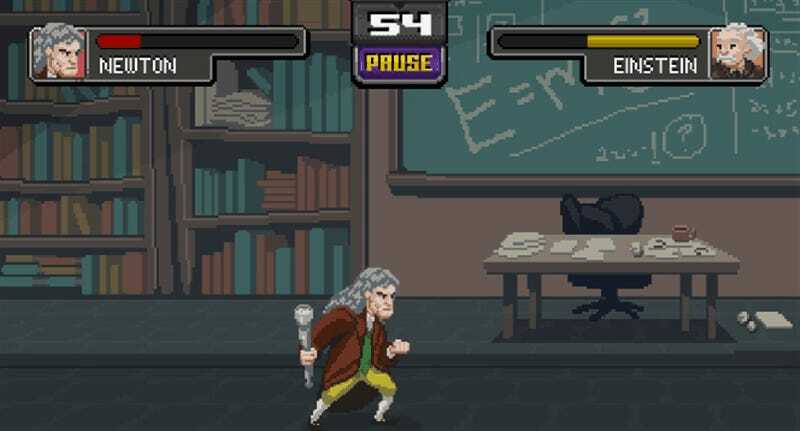 Remember that idea to make a 2D fighter out of some of the world’s greatest scientists? Well, your dreams came true, it’s now a functional and playable video game. 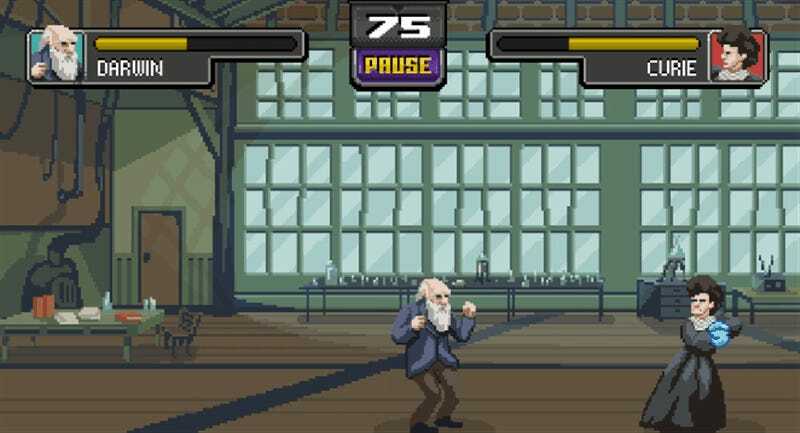 Built in Unity, and hosted on the same site that ran the original gifs (Brazil’s Superinteressante magazine), there are a range of fighters available, each with their own special moves and custom stage art. 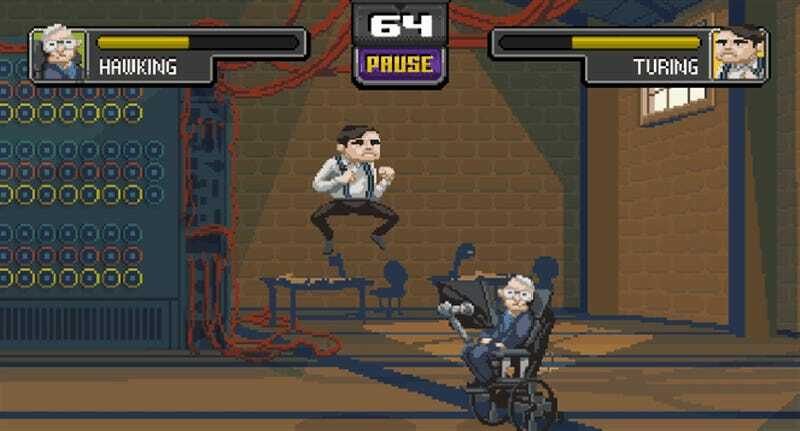 It’s not the world’s greatest 2D fighter, and is a bit of a nightmare to play on a keyboard, but it works, and while each of creator Diego Sanches’ special moves are entirely appropriate (and amazing), I’m just in love with those backgrounds.